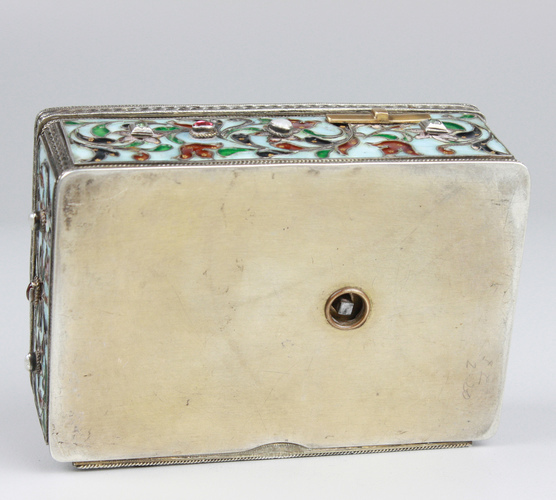 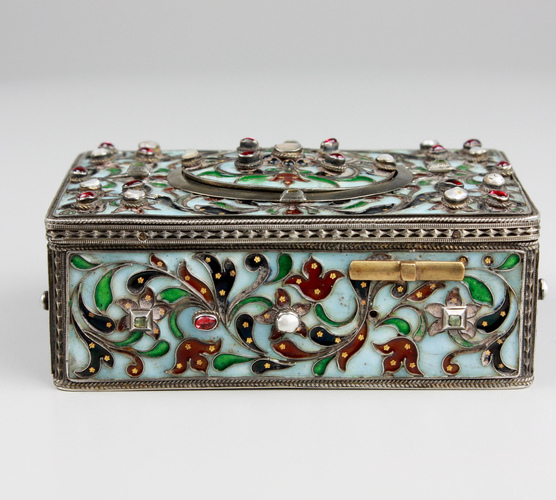 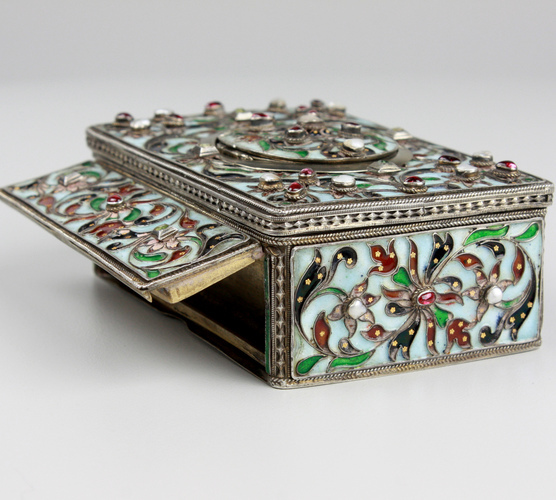 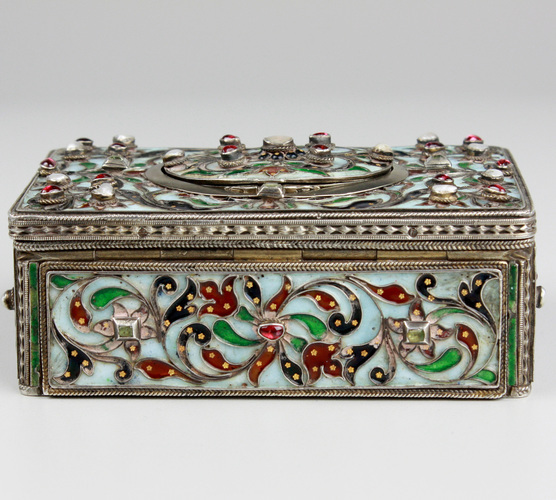 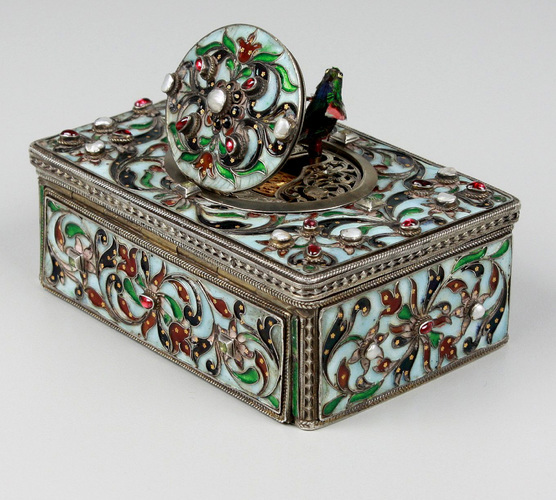 An excellent example of an Art-Nouveau box. 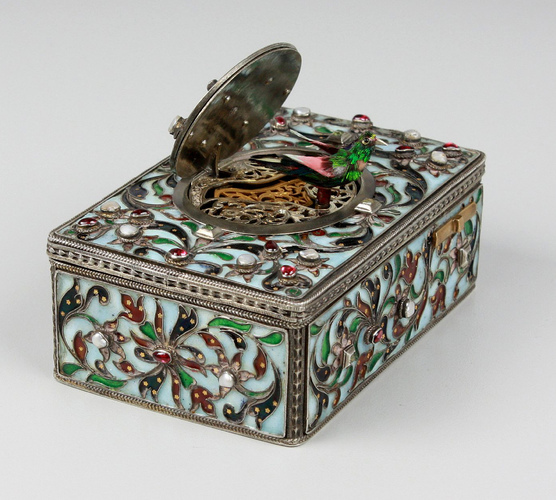 When wound and the start/stop button pushed smartly to the right, the bird lid opens and the bird suddenly appears, moving polished metal beak, flapping both wings, bobbing tailfeather and turning entire body from side-to-side, perfectly synchronised to the melodic and characteristic continuous birdsong. 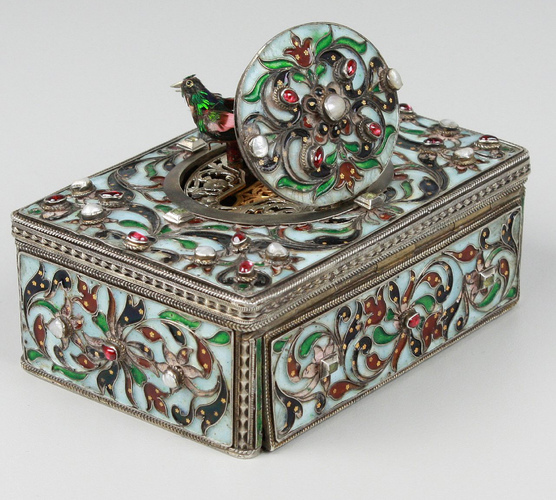 The bird with delightful streaked feathered plumage in varying shades of green, undertone of black and highlights of deep red, accented by flashes of iridescent green to finish, bird rising up through pierced and beautifully chased gilt grille mounted to plain border, in the Art Nouveau case incorporating raised whole cloisonné enamel cushioned panels. 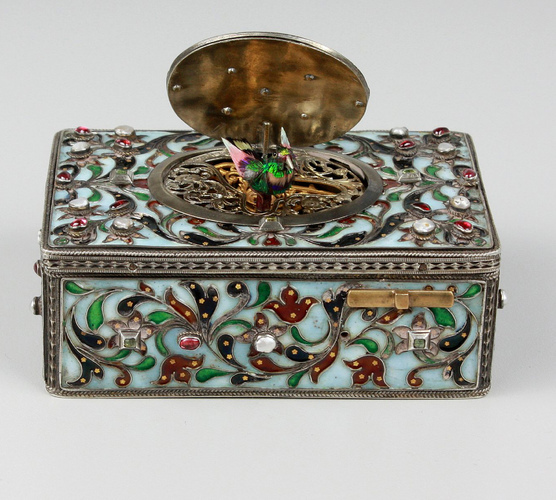 The lid with soft light blue ground with green shoots terminating with deep red flower bells, finished with large natural pearl mounted in the centre, the main lid with full repeating theme to the grander scale with eight stones, the front and back with twinned themes and the sides also but with central pearl mount, frame and corners of cast decoration with scrolls and baullé friezes, plain polished underside, hidden key compartment to rear. 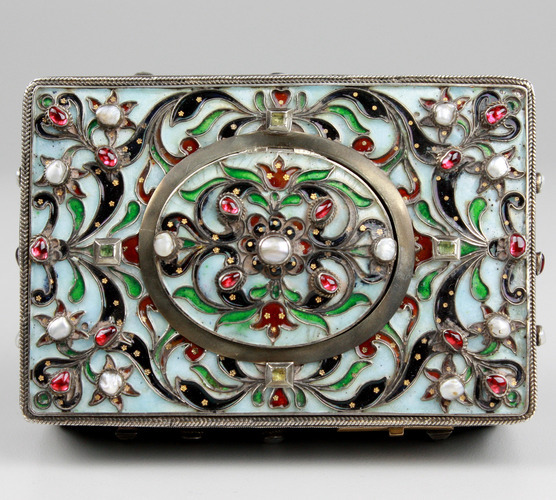 The Art Nouveau period was one of the most important design movements in the history of art and taste. 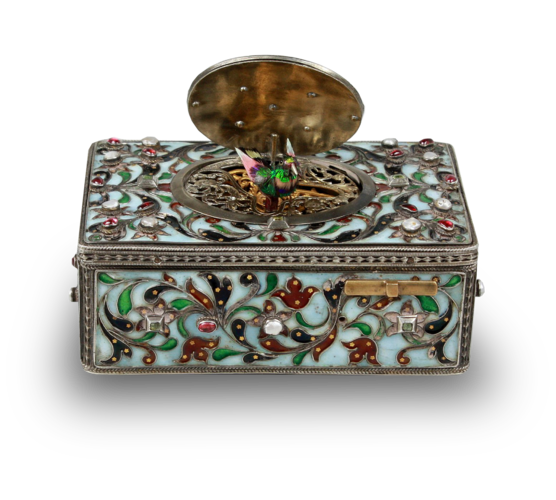 It captured, in brilliantly balanced play, the relationship between stylised nature and natural colours, displaying the beauty of nature working in-tandem with the efficiency of man.